In the world of Digital marketing, WordPress is an Online Website which is an open source for creating new websites. In other words, we can say that WordPress is a website-template store. It is a Content Management System and a blogging tool that is managed from its back-end, built on PHP and supported by MySQL. A variety of plugins, widgets, and themes are available which allows the users to customize and update it with trending features. Mostly, blogging websites are the results from this source but it also supports other forms of websites. Approximately, more than 30% of the total top most websites include the WordPress Websites. 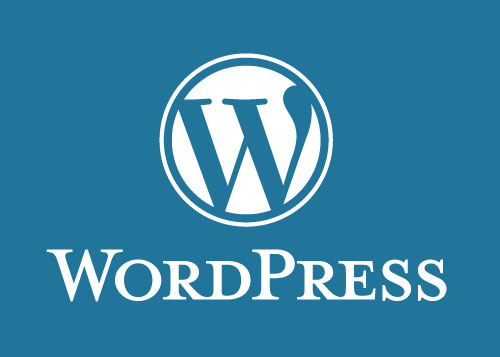 As you have chosen WordPress as the platform to showcase your Content, here in an article you may follow as a complete guide of how to get started with WordPress. Get a Hosting for your Site: Before you get started, you need to get yourself with a good WordPress Hosting for your Website. There are free as well as paid Hosting available. The free ones mostly aren’t providing with good quality of services and features, so there’s a recommendation to select the paid ones. Select a Hosting which is either fully managed and there is a pre-installed WordPress or select the one which offers you an easy one-click installation. Select a Domain Name: Domain Name basically is that part of the URL that identifies the IP Address on Web. Register yourself with a domain name which isn’t taken by any other user. Now, this is the stage where you will actually construct your site. Customize your Site Design: To the left, there’s a panel where you have to click on Appearance > Themes. There are already pre-installed themes from which you can choose one for your site. For more options, you may click on Add New button. You will see a list of free themes available. You can preview them before installing. After you are done with the survey of themes, you may select one and activate it so that it functions. Next, to that you can customize in your Appearance Section can Widgets, Menus, Header, and Background. For Widgets, a list of activated ones appears on the sidebar. You can rearrange them as per your choice. For Menus, you can simply list down the structure that will appear on the top bar and then accordingly drag and drop down your options. Add Plugins: Depending upon the usage of your website, you need to install and activate the relevant plugins that will develop your website as a well-constructed one. 1. Everest Forms: This plugin allows your readers or customers to contact you by submitting their credentials through the form you have created. 2. Yoast SEO: Through this plugin, you will be guided with how to generate better content for your website which is SEO supported and simultaneously how to increase traffic on your website. 3. Google XML Sitemaps: This plugin helps the various search engines to better index your site. This plugin will automatically create a sitemap which will make the search engines easier to index. Add Users: You may require a workforce to handle and update your website. To the left panel, you may click Users where you can add those people whom you want to access your Website. Also, you can mention their designation and role. Create Necessary Pages: A Website has a couple of pages to visit. On the left panel, you have an option of Pages where you can add new. You can customize them by activating various plugins. Create Categories: Before adding posts on your website, you should create categories under which your posts will be updated. If you have more than one topic to share, the creation of categories is vital. To create categories, you need to go Posts > Categories and click on Add New and further on fill in the credentials about the same. Add Posts: Your Website can’t be empty. To have readers and viewers on your site, you can add new posts by clicking on the same which is available at the left panel. You may add the posts under the categories you have created. Comments: To the left panel, you have an option of comments where you can see a number of comments left by your users. Here, you can approve, disapprove and reply to all those comments.